The millennium drought affected all of Australia, and certainly it’s star city Sydney. This drought caused serious water security concerns for Sydney in the past, and further strain on the current water supplies is expected into the future. The predicted impacts of climate change and population growth translate into an increase by 30% of current water demand by 2030. In the face of these challenges, the City of Sydney is developing a strategy to drought-proof the city and “keep it green and cool, “starting with a target to maintain the potable water use at the 2006 consumption level. The city is transforming into a water sensitive city that is resilient, cool, green, and productive. The water management approach to reduce vulnerability to droughts in the future include: using less water through behaviour change, followed by using water efficient fixtures and fittings, reducing stormwater pollution, minimising local flood risk, and enhancing greening and urban cooling through retrofitting the stormwater management network with raingardens, wetlands, swales and gross pollutant traps. 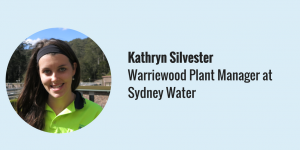 Do you want to know more about Sydney's Water-Wise Story? Resilience to climate change by reducing consumption and using alternative water sources, while also managing stormwater for improved health of waterways. The approach is to drought-proof the city.  Waterway health will be improved and potable water supplies will be safe- guarded for use in the next century and beyond. 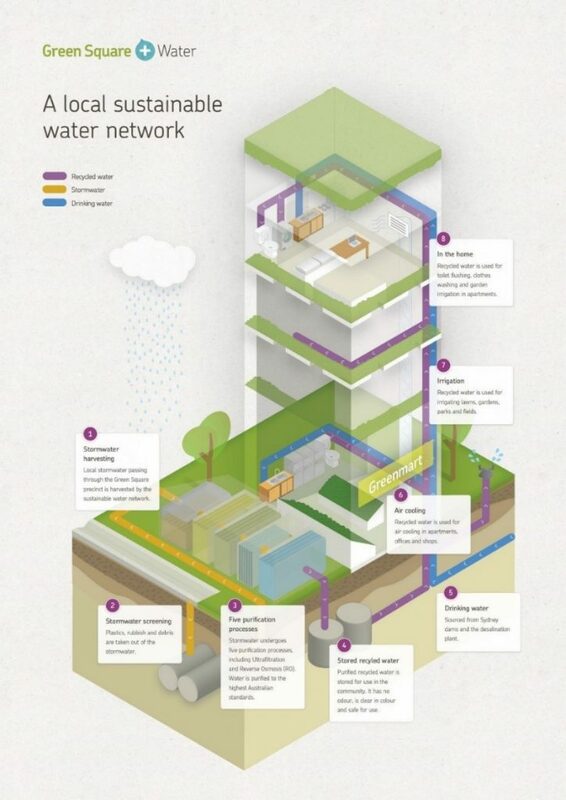 The City’s Decentralised Water Master Plan identifies actions and investments to reduce the City’s reliance on potable water through retrofitting the most resource intensive properties, including water efficiency in all new constructions, using recycled water in parks and in buildings, and harvesting stormwater. 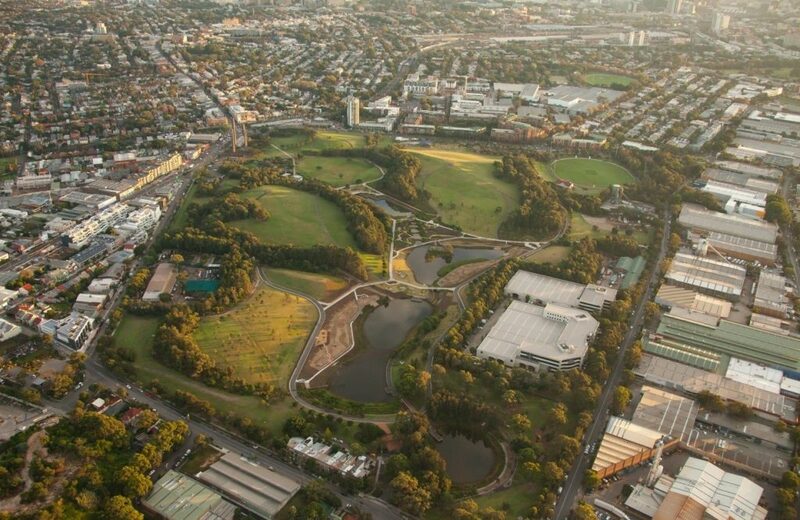 Parks are to be equipped with new water use data monitoring and analysis systems by June 2017 to guide efficiency measures. Sydney’s approach is to secure water availability when it is hot and dry. 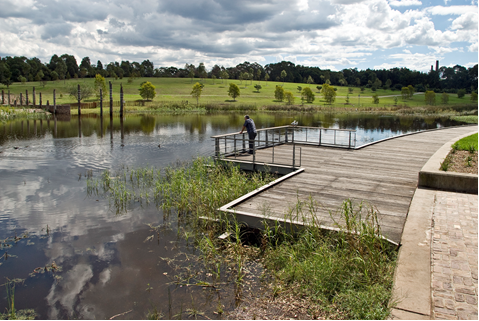 The vision embraces flood risk mitigation with the floodplain management plan, which is implemented in partnership between the City of Sydney and the State Government. It aims to get stormwater safely out of vulnerable places in each catchment, while ensuring it can be reused. The first Floodplain Risk Management Plan and alliance partnership was approved by the City and State Government in June 2013. Its implementation has begun with the Green Square Trunk Drain. The $100 million drainage work will be completed in 2017, draining floodwaters away from homes, businesses and roads. The City of Sydney is also delivering up to 270 million litres per year of recycled stormwater to the new buildings and open spaces in the Green Square Town Centre, saving precious drinking water. •	Our approach will drought-proof our city to ensure we can use water when it is hot and dry. Our waterway health will be improved and potable water supplies will be safe- guarded for use in the next century and beyond. •	Compensating the anticipated 30% increase in water demand by 2030 through reducing consumption and using alternate non-potable supplies. • Retrofitting the stormwater management system with raingardens, wetlands, bio swales and gross pollutant traps to reduce stormwater pollution, enhance greening and urban cooling and to and minimize local flood risk. •	Water efficient fixtures and fittings through council’s internal policy management. •	Governance frameworks to ensure transdisciplinary teams from planning stages. The strategic, planning, delivery and asset management departments operate together to meet the City’s vision and targets. Regular monitoring and reporting are in place.  Connecting to local research institutes. City to city exchange of knowledge on completed projects and strategies in place. Sustainability Strategy and Green Infrastructure teams. The Environmental Strategy and Action Plan 2016-2021.